The "Nicoletti" premium leather sectional is an architecture of ornament, class, & modernity. What makes this sectional exquisite is not a singular element, but a culmination of design, comfort, simplicity, and elegance. The "Nicoletti" Sectional features 3 separate ratchet headrests, elegant chrome legs, and crafted from thick premium grade Italian leather. 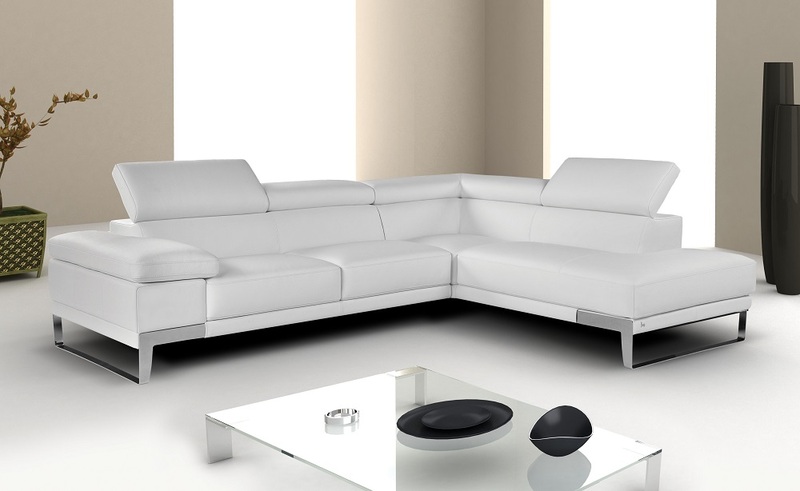 Available in black, grey or white, the Nicoletti Premium Italian leather Sectional is sure to compliment any decor.